The ICEP Conference has a full three-day programme beginning at 09:00 on Wednesday 4 September running until 16:45 on Friday 6 September. Programme outline will be available soon. Susan Clayton, PhD, is the Whitmore-Williams Professor of Psychology and department chair at the College of Wooster, US. Susan is a Conservation Psychologist who is interested in understanding and promoting a healthy relationship between humans and nature. Her interest in identity has led her to develop an Environmental Identity (EID) Scale to assess the degree to which the natural environment plays an important part in the way in which people think about themselves. She has an applied interest in the psychology of justice, and the environmental challenges that present an important context for examining perceptions of justice. Currently, she investigates the impacts of climate change for psychological wellbeing, along with conducting research in zoos to investigate the ways in which environmental concern is constructed within a social context. She is a past president of the Society for the Psychological Study of Social Issues, and is a Fellow of the American Psychological Association, the Society for Environmental, Population and Conservation Psychology, the Society for Personality and Social Psychology, and the Society for the Psychological Study of Social Issues. She has written over 60 books, chapters, and articles including papers in the Journal of Environmental Psychology, the Journal of Social Issues, and the Journal of Applied Social Psychology. She will be a lead author on the next assessment report from the Intergovernmental Panel on Climate Change. Gisela Böhm is full professor for psychometrics and research methods at the University of Bergen (UiB), Norway, and adjunct professor in environmental psychology at Inland Norway University of Applied Sciences (INN, Lillehammer). She is a member of the research groups ‘Decision, Intuition, Consciousness, and Emotion (DICE)’ at UiB and the environmental psychology group at INN. She is co-coordinator (with Endre Tvinnereim, UiB) of the 'Climate and Energy' module of the Norwegian Citizen Panel, an online survey panel at UiB. Her main research interests are risk perception and decision making in the context of environmental risks such as climate change, with a focus on the interplay between risk, morality, and emotion in responses to such risks. A further emphasis is on research methodology with a focus on survey construction, experimental design, and multivariate analysis. Dr Jiaying Zhao, Assistant Professor and Canada Research Chair in the Department of Psychology and the Institute for Resources, Environment and Sustainability at the University of British Columbia. She is the principal investigator at the Behavioural Sustainability Lab at the University of British Columbia, where they use cognitive principles to design behavioural solutions to address sustainability challenges. She is currently investigating the cognitive causes and consequences of scarcity, what behavioural interventions to promote recycling and composting rates, what cognitive, motivational, and sociocultural factors shape the perception of climate change, and how to engage the public on biodiversity conservation. She has published over 40 journal articles including papers in Science, Psychological Science, Environmental Research Letters, Biological Conservation, Waste Management, Journal of Environmental Management, and Journal of Environmental Psychology. Simon Bell, PhD, is chair professor of the Chair of Landscape Architecture at the Estonian University of Life Sciences (Tartu, Estonia as well as Associate Director of the OPENspace Research Centre at the University of Edinburgh). Professor Bell was originally a forester (BSc, Forestry, University of Wales) who took a master degree (University of Edinburgh), and PhD in landscape architecture (Estonian University of Life Sciences). His main research interests are people and the changing landscape, especially perception, role in national identity and public participatory planning, outdoor recreation planning and design, Inclusive access design and management, especially in rural and countryside area, forestry landscape design, Soviet landscape heritage and identity. Research and practice led him to projects in the Baltic States and thus to Estonia where he has been teaching and researching since 2005, taking over as head of department in 2009 and has been involved in a wide range of international projects. Simon was president of ECLAS – the European Council of Landscape Architecture Schools from 2012 to 2018​. For those who arrive in Plymouth on Tuesday 3rd September, you are invited to join us on campus for an optional icebreaker drinks reception, giving you the opportunity to meet other delegates and familiarise yourself with the conference venue ahead of the event. Taking place at the National Marine Aquarium (NMA), guests will have the opportunity to taste and sample a range of food and drink local to the South West. The NMA is the largest public aquarium in the UK. The awe-inspiring exhibits, featuring marine animals from near and far, provide an environment that intrigues, inspires and motivates visitors to engage with their conservation messages. Pick up your glass and meander your way through Plymouth Sound, the Atlantic Ocean and the Great Barrier Reef exhibits and enjoy the delights of local West Country beers, ciders, wines and food. 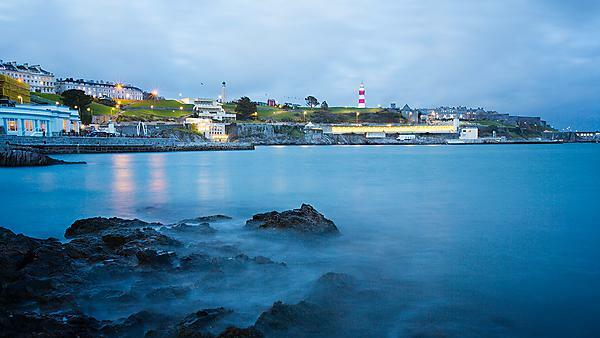 Delegates who have booked and paid to attend the Conference Dinner are invited to join us at the Crowne Plaza Hotel situated on Plymouth’s iconic Hoe for a three course sit down meal in the Mariners Suite.